There are now more pet cats than dogs in the North America. Improved nutrition, prevention of infectious disease and advances in veterinary medical care have resulted in our cats living longer and healthier lives. In the last decade in North America, there has been a 15% increase in the number of cats over ten years of age and the proportion of the feline population aged fifteen years or older has increased from 5% to 14%. Reduction in exercise may result in reduced muscle tone, which may further reduce the cat’s ability to jump, climb or exercise. How might these aging changes affect my cat’s response to medication? Although little is known about the feline immune system, it is generally assumed that immune function deteriorates with age. This may in turn result in a reduced ability to fight infection or destroy neoplastic (cancer) cells. However, if your cat’s lifestyle means that it has a low risk of contracting certain of the common preventable diseases, your veterinarian will advise you on the most appropriate vaccination program for your cat based on its physical condition and lifestyle. 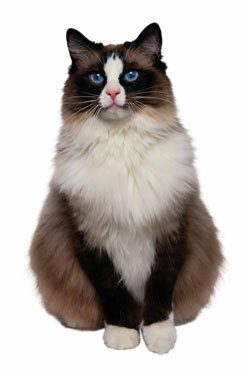 As cats age, some will experience a reduced ability to control urination and defecation. To reduce the risk of “accidents”, it may be necessary to provide multiple litter boxes located on each floor of the house that your cat may use, and near favorite sleeping and eating areas. The aim of any senior care program is to maintain the quality of the patient’s life and to slow the progression of age-related disease. Because most of the chronic diseases we see in senior cats are slow to progress, early recognition is usually only possible through diagnostic tests. The earlier we can diagnose a disease, the more the likelihood that we can slow or reverse its progression and maintain a longer period of high quality of life for your senior cat. Senior cats should have regular health checks (every six months). Senior care programs usually include a thorough physical examination, blood and urine screening and chest or abdominal radiographs. Body weight should be recorded regularly and booster vaccinations should be given as determined by your cat’s lifestyle. We will provide you with additional details about our senior care programs upon request. While it is true that “old age is not a disease”, older patients do merit special attention. This is important so that if your cat develops disease, we can recognize and treat it as early as possible, thereby maintaining its quality of life for as long as possible. During the months of November and December the Thickson Road Pet Hospital is offering Senior Wellness Testing at a discounted rate. Please contact the clinic for further information. Great article, just what I wanted to find. Keep on writing!